From last week’s Corinna’s Canberra featuring Symonston, we move around 15 kilometres north to the leafy suburb of O’Connor. O’Connor’s neighbour suburbs include Bruce, Lyneham, and Turner. The suburb is well-known for its heritage listed type of dwellings called Tocumwal houses and the beautiful walking trails of O’Conner ridge. Get to know more about O’Connor, its history, people, and features in this Corinna’s Canberra article. 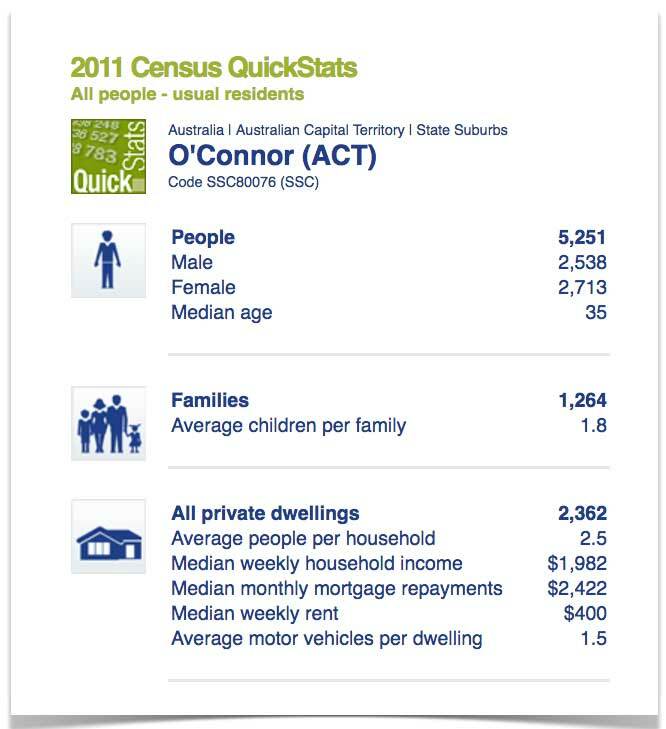 Census 2011 listed O’Connor as a suburb with 5,251 residents, with median age of 35. Nearly 40% of those aged 15 and above were married, with an average of 1.8 children per family. Most of the employed people in O’Connor work in Central Government Administration (22.8%), followed by Tertiary Education (9.7%). Other industry of employment include restaurants and takeaways and legal and accounting services. O’Connor, being part of the Inner North, enjoys views across to Black Mountain and the Majura Ranges. O’Connor Ridge, a highly valued natural bushland area, is located to the west of O’Connor. The Sullivans Creek Open Space Corridor, an important recreation area providing a pedestrian/cycle link between the employment and commercial areas of Dickson and Civic and the Australian National University, runs through O’Connor. 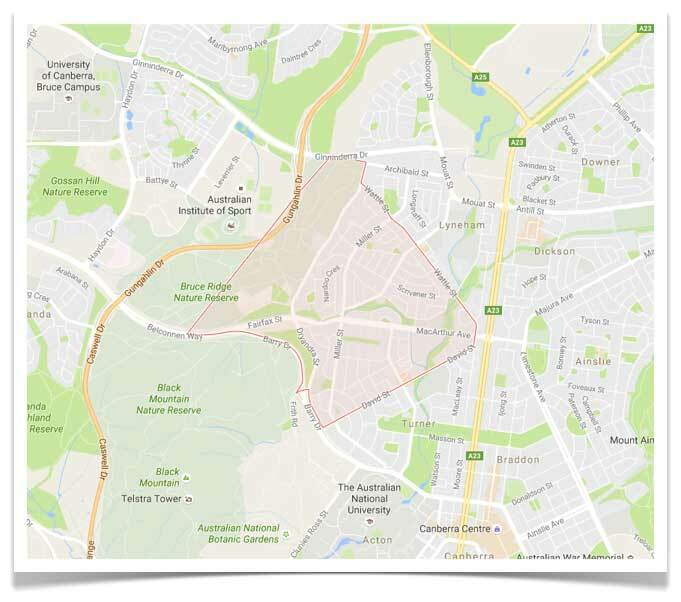 O’Connor, being near to Northbourne Avenue and Civic, enjoys convenient access to jobs, major recreation, entertainment and community uses. The suburb is also well positioned in terms of convenient access for residents, students and staff to the Australian National University. School and Childcare: St Phillips Kindergarten, St Joseph’s Primary School, and O’Connor Cooperative School. O’Connor also has a good variety of places to catch up over dinner or a drink, like The Duxton, Tu Do , and 39 Steps. In 2014, O’Connor became Canberra’s 6th dog-friendly suburb when it opened its 1.2-hectare off-leash dog park located on Fairfax Street. Other suburbs with off leash areas are Belconnen, Greenway, Yarralumla, Forde, and Casey. The nearest Corinna Dental Group practice to O’Connor is our Brindabella Business Park clinic, which is around 10 kilometres away and 15 minutes via Fairbairn and Limestone Avenues.